We’ll show you where demand is highest, so you can plan your week around earning. We’re replacing pesky extra taps with simple, error-proof swipes. We’re making it easier to find kudos and helpful feedback — as well as tips for improvement. Planning tools, bonus details, and demand forecasts, now easily discoverable in your Earnings tab. Planning tools, bonus details, and demand forecasts, now easily discoverable in your __Earnings__ tab. Reliable earnings should be a sure thing, so we’re adding demand forecasts, bonus details, referral info, recommended driving times and areas, and weekly planning tools to the Earnings tab in your app. You’ll find all the week’s high-earning opportunities — like a spike in demand at the airport — so it’s easier to plan your week around earning. 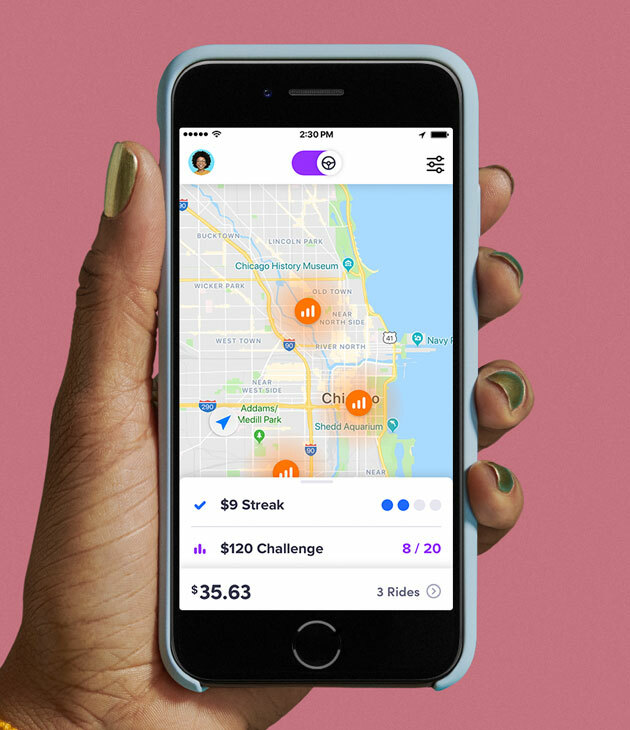 Your earnings breakdown now includes your time and distance rates, so you can clearly see why a ride earned a lot (or why it didn’t). You’ll see events up to a week in advance, as well as the event hours, peak drive times, venue location, and event details. To find them, just swipe up on your home screen or scroll to the bottom of your Earnings tab. When it’s busy, you want a better way to see demand to increase your chances of getting rides. Hot spots, our new real-time map feature, help you see where passengers are requesting more rides, more clearly. If there’s high passenger demand in your area, you’ll see hot spots in the map on your home screen. We’re starting to roll out hot spots in the following cities, and expanding to more later this year: Ann Arbor, Atlanta, Athens, GA, Baltimore, Boston, DC, Detroit, Houston, Miami, Nashville, Philadelphia, Portland, Providence, RI, San Diego, Seattle, Tacoma, Tampa. Say goodbye to accidental drop-offs. Ratings and comments from passengers, conveniently located in your app. *Local event guides are available everywhere except Brooklyn and Boston.